If you follow my blog, you know that I am a fan of pies. They are absolutely my best friends. 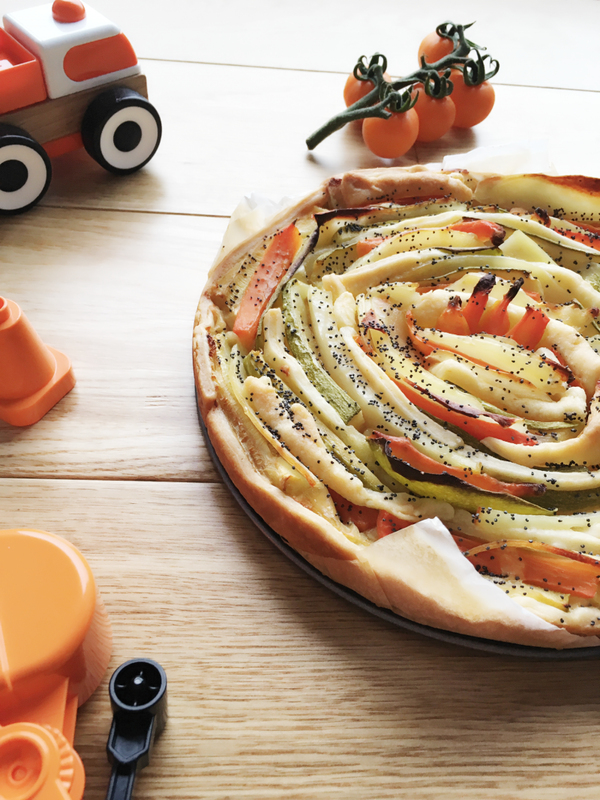 I simply love them, they are even tasty with vegetables, kids adore them. They are also a backup meal when my son doesn’t want to have dinner or they can be a snack during the day. 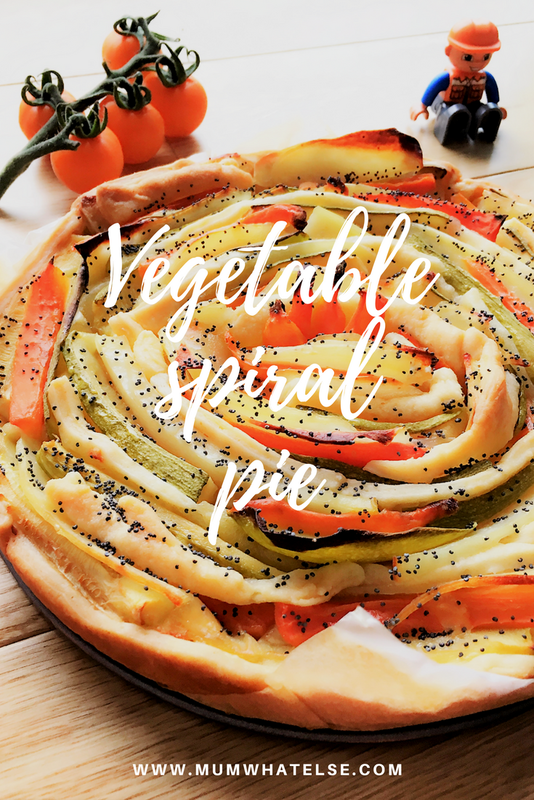 This spiral pie is adaptable as appetizer or an easy dinner and why not, it’s perfect if you have some guests and put some color in a grey day, as it was today here in London. 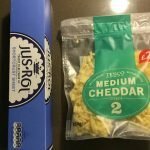 I found this idea from the blog Lost in my Kitchen and I have adapted the original recipe with english ingredients easy to find. 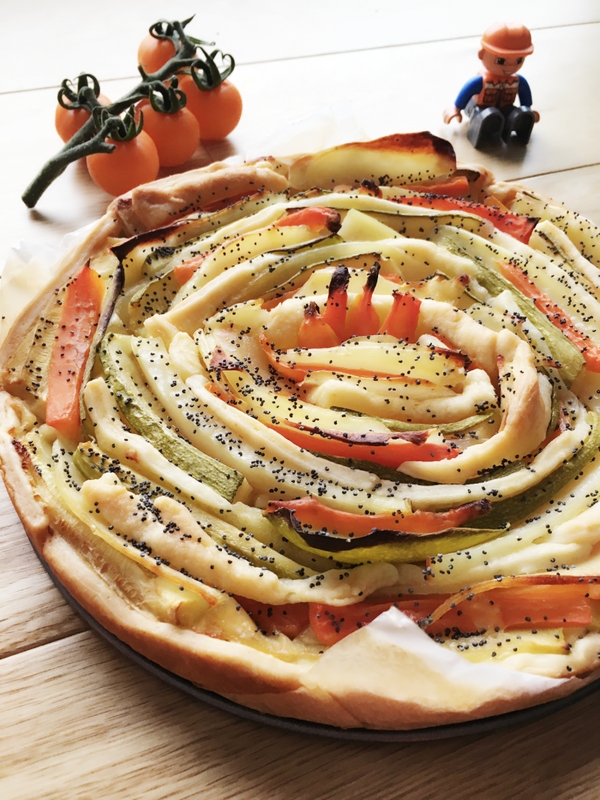 It’s really really tasty, I love it, this is absolutely one of my best favorite pie. 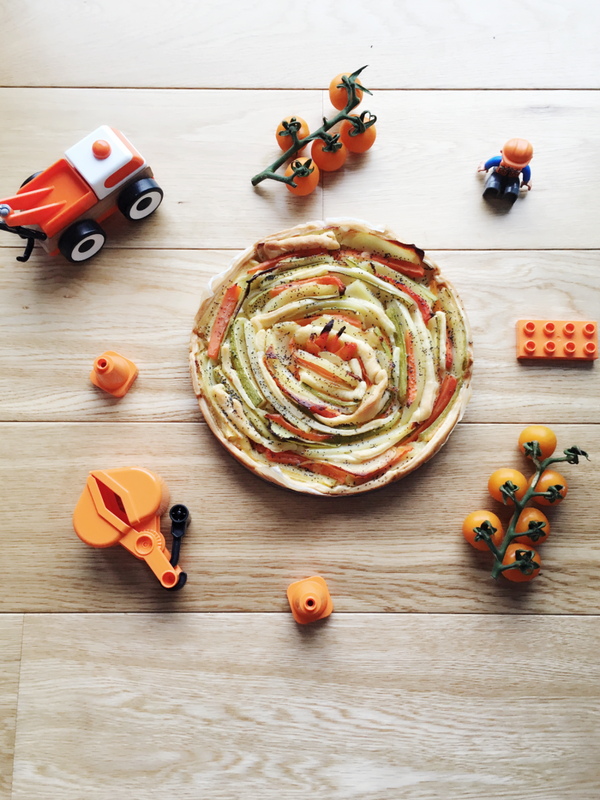 Show me the creative side of a pie! COOKING TIME: 45 min 180° (static oven) – 350F – gas mark 4. 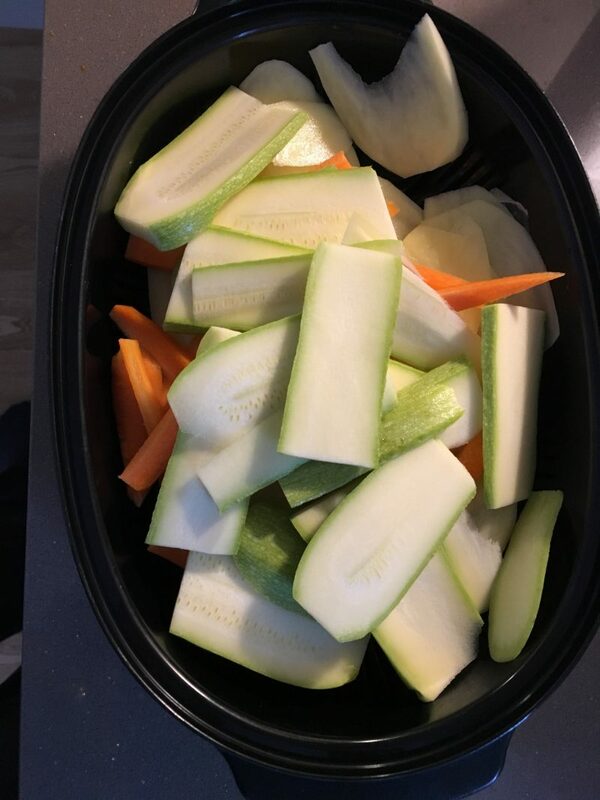 Wash and peel the potatoes, carrots and courgettes. 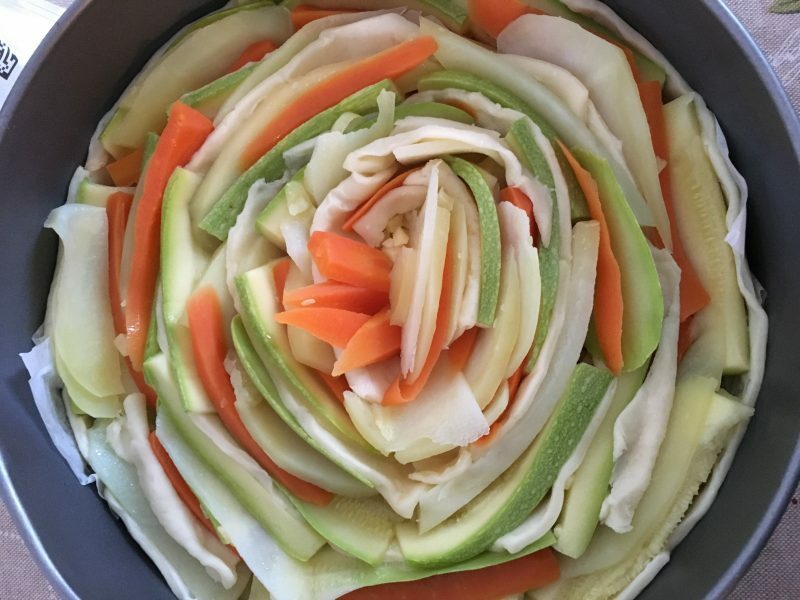 Slice and put in a microwave pan to boil. Cool. Cut the puff pastry in order to have a circle to cover the bottom and some stripes. 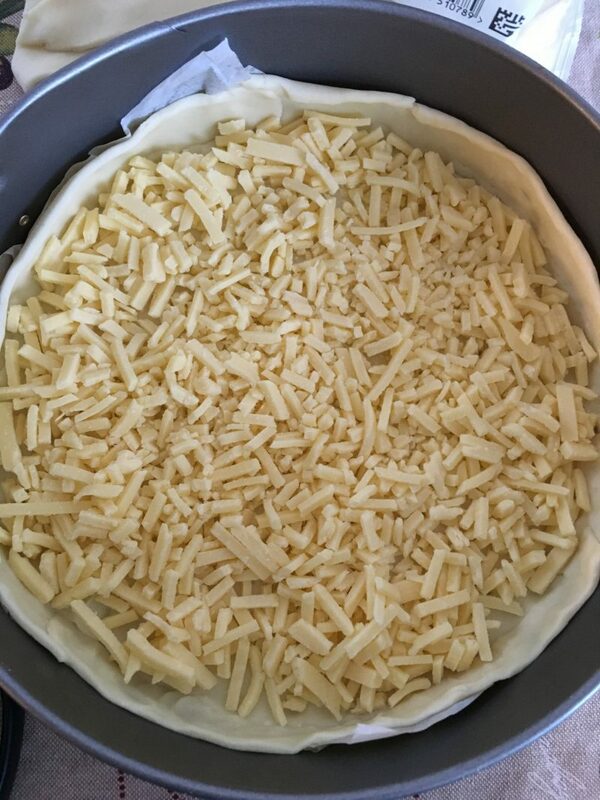 Lay the pastry in a baking pan (diameter 26) and use the fork to hole the base. Put the cheddar on the base. Add salt, extra virgin oil and poppy seeds on top. Bake at 180 ° for 40 minutes. Thanks!!! It’s very delicious I really suggest to try it.